Junior Dos Santos and James Vick will both fight at UFC Boise in the month of July. Their journey to the octagon is much different than the other. "I used to say that I didn't pick to be a fighter. 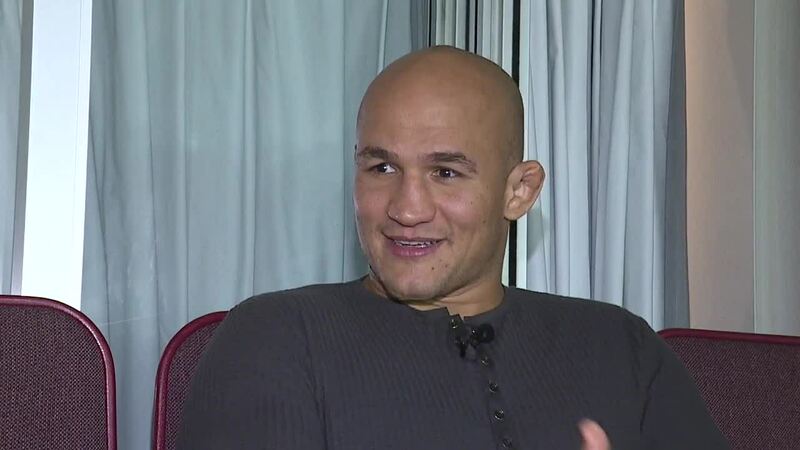 I didn't want to be a fighter but the fight world picked me," said UFC Fighter Junior Dos Santos. Dos Santos hails from Brazil and his journey to becoming a one-time heavyweight title-holder in the octagon is a wild one. "I actually was a waiter then right before I started training I was selling toys but it wasn't going very well. Then I was eating too much and getting fat. So then it was time to look for a gym," said Dos Santos. Santos no longer has his belt but he trains twice a day resting only Sundays. It's all in preparation for his fight against UFC newcomer Blagoy Ivanov who has a wild backstory of his own. Ivanov was once stabbed in the heart. Now he carries a professional record of 16 one and oh into his UFC debut. "I'm looking forward to it because that's what I'm here. I'm here to face tough guys and to face the best," said Dos Santos. James Vick will also fight on July 14th against Paul Felder. Vicks has been living out his dream of becoming a UFC fighter ever since he saw the Ultimate Fighter coming out of high school. He knew had to be a part of it. Vick went on to star on season 15 of the show. "When I saw it I was like oh my god this is the coolest thing ever. I was like I could totally do this and from there I started doing Jiu-Jitsu and then took a couple of MMA fights,” said UFC Fighter James Vick. The 31-year-old Texan has won 9 fights in UFC events and he has won his last three contest. When he isn't in the octagon you can find him hunting wild hogs and if anybody is up for a hunting buddy in Idaho Vick is your guy." Vicks goals in the UFC aren't done as one day he wants to become the lightweight champion.